70 Percent of Shopping Happens After 6PM – Or Maybe Not? Not long ago I heard someone comment that “70 percent of shopping occurs after 6 PM”. This is a statement that has been quoted for a couple decades now, and like most people, I accepted it for a long time. The more I became acquainted with retail, though, the more I had my doubts. Eventually I even began to look for a source to corroborate the claim. It seems there really is no source. In fact, the information we do have suggests something very different. The best source of information is the American Time Use Survey compiled annually by the US Bureau of Labor Statistics. It shows that the number of people shopping actually peaks in the early afternoon and steadily declines through the remainder of the day. 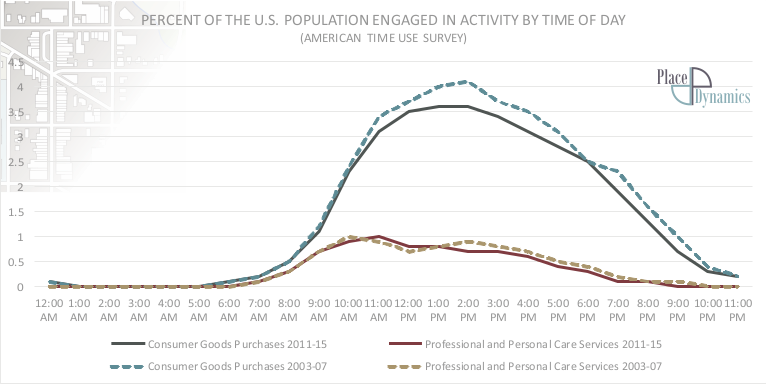 Fewer than one in five shoppers are out in the evening hours from six to ten. The data tells us a few things more. Overall, we are shopping less. 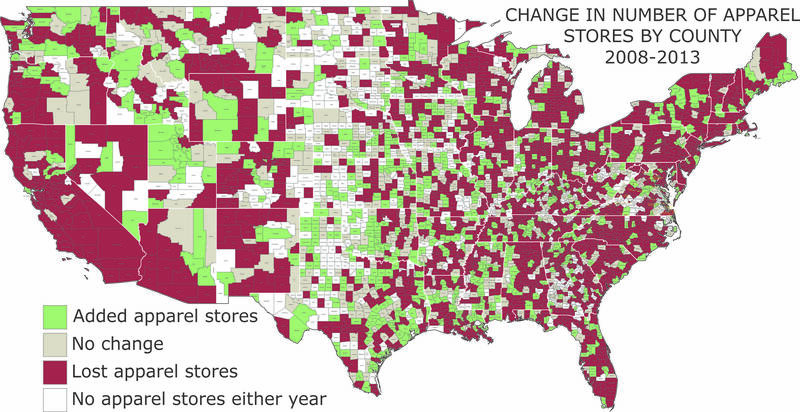 The number of people shopping* dropped from a daily average of 38.0 million in 2003 through 2007, to 34.3 million per day in the 2011 to 2015 time period. Comparing evening shopping between these two periods, the percentage of shoppers out during the hours of 6 PM to 10 PM declined from 19.5 percent to 18.7 percent. The percentage of people out during the daytime hours from noon to 6 PM remained relatively unchanged, while there was an increase in morning shoppers (8 AM to noon) from 19.7 percent to 20.4 percent of the total. The morning hours also saw in increase in the percentage of people patronizing service businesses. 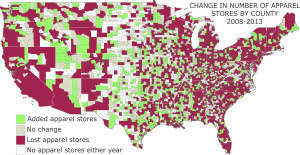 Other data sources show that patterns vary for different kinds of retail businesses and shopping formats. Simply open up Google Maps to understand this. When you click on many businesses and scroll down the information window you will see “popular times”, a bar chart that reflects the typical customer traffic patterns for that business, by hour, for every day of the week. A grocery store will typically peak around four in the afternoon while a home improvement center will peak around eleven in the morning. Businesses like a coffee shop may have an uneven pattern of busier and slower times. The upshot of this is that while our downtown businesses are certainly leaving some of the market potential on the table when they close early, it may not be as much as we have assumed. Whether it makes sense for those businesses to be open in the evening is really a more complex question that needs to factor in the kind of business, surrounding businesses that might help draw traffic, and the additional sales volume that might be captured. If the goal is to capture more sales, these businesses may best be served by encouraging them to develop their web presence, engage in online sales, and provide same day delivery services, rather than simply extend hours. * Rather than “people” we should probably be using “shoppers by hour”, as the same person might be shopping more than one hour, but the simpler term will make this easier to read. Posted on November 23, 2016 Categories Downtown Revitalization, Economic Development, Market Analysis, Retail SectorTags Downtown Revitalization, Economic Development, Market Analysis, Retail7 Comments on 70 Percent of Shopping Happens After 6PM – Or Maybe Not? We are often approached by communities asking how they can attract more retail to their business districts. That may be the wrong question. The retail sector is experiencing a massive transformation as people are spending less, the internet is taking an increasing slice, shopping habits change, and chains continue to close stores at record levels. The best locations will continue to thrive, but all others need to be thinking about a more comprehensive approach to creating healthy business districts, in which attraction is only part of the picture. Our white paper provides a comprehensive look at how retail is changing and what it might mean for your community, district, or center.  Kingman County is one of two counties making up the Wichita MSA in southern Kansas. This largely rural county has been losing population for decades, though that trend may be reversing as people move from the City of Wichita to rural home sites and smaller communities with a more affordable cost of living. The county’s economic development organization is seeking opportunities to retain businesses and attract new ones to the community both for the economic opportunities they provide, and to offer shopping and services to residents. The retail trade area for the county and its principal city is really no larger than the county itself. While few single-category uses are immediately viable (aside from a truck stop and restaurants), there is an opportunity for businesses to combine product lines to capture unmet demand. The City of Kingman can support a new hotel, fueled in part by a 20 percent increase in traffic on Highway 50 over the past decade. A 40-room midscale property was recommended. The financial analysis demonstrated the project’s likely profitability and ability to secure financing based on typical commercial lending criteria. Few similar rural counties, or communities the size of Kingman have convention centers of the size and character the economic development organization has envisioned. We examined the small handful of comparable facilities and assessed likely competition for the proposed center. 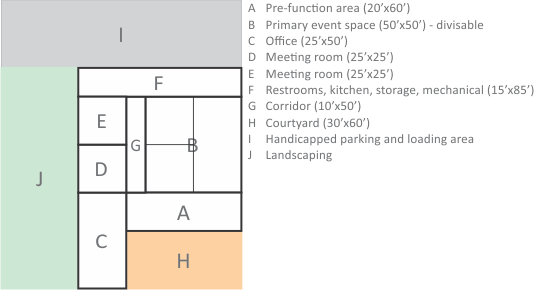 The recommended facility will have a combination of dedicated rooms, flexible space, and amenities to enable it to host diverse functions such as business meetings, conferences and some trade shows, and banquets or receptions. A proposed location in the historic downtown, outdoor reception space, allowing outside food, and lower rental fees will help the facility to compete for bookings. In addition to the location and facility design, the study recommended a management structure, services to be provided, and marketing strategies. None of the comparable spaces are financially self-sufficient, and the analysis predicted that this facility would similarly need continued financial support. 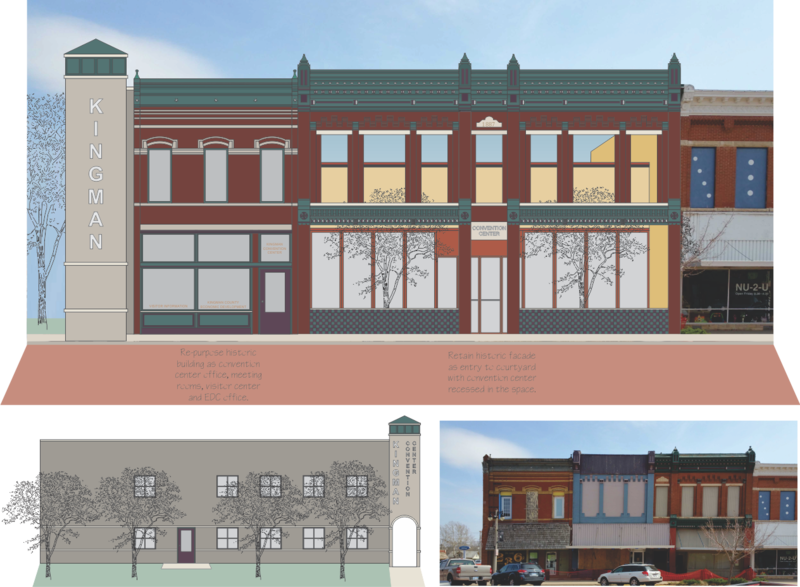 That might not be the case, however, if it were to be developed with grants and donations to defray the estimated $1 million development cost. 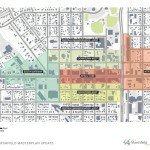 Several vendors provide “market reports” that offer estimates of the retail potential in areas defined by the user. How good is that data? Not long ago, we published a white paper addressing that question. In a nutshell, the answer is that they are often wildly inaccurate. We are not alone in stating this. An analysis by the Institute for a Competitive Inner City found the same. In their efforts to verify the source data they found egregious errors that call into question the validity of the results. Our white paper, Algorithms, Assumptions and Ignorance: Just How Reliable are the Numbers in Your Market Analysis?, describes the problems in these reports in detail. I have been given the privilege of seeing the entire plan and having the entire presentation both on the Plan Commission and through the Economic Development Board. We’ve looked at this quite closely. There are a number of features in this plan that I am very enthusiastic about and I am supporting wholeheartedly. 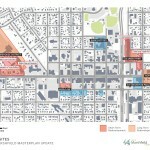 One of them is that for the first time in dealing with our downtown, you guys have identified that there a lot of different downtowns and there are different treatments that have to be done to each of those areas, as opposed to just one big area, and saying that ‘this is downtown and you need to do all of these things in it’. The other thing I like about it is that you have been very, very practical in the redevelopment area, phasing it in and showing us what we can do in three years, five years, ten, and maybe even for twenty years. That is something that is doable – the old story of how do you eat an elephant? One bite at a time. And that is what we are going to have to do here. The other thing that is very good, that I think it is important for the Council to know, that we have struggled with as a Council, is who are the players and who does what? This plan spells out very clearly not only who the players are, but what the tasks of each player are in each strategy and each goal. 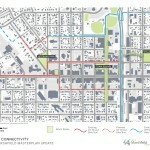 This is probably the most well-defined work program I have ever seen for downtown. It is something we can sink our teeth into and budget to it, which we have already done, actually. 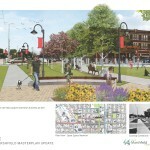 In the Capital Improvements Plan we have already set aside some funds for the start of the 2nd Street corridor. We can do this. We can implement this. This is not a plan written by twenty and read by three. This is a plan that will be implemented and I am very pleased about that. The last thing is that we have always argued that to make downtown and Main Street thrive we needed a critical mass of people to support the retail end of it, to support the entertainment end of it, and that sort of thing. This plan shows us how to get to that critical mass through place-making as well as utilization of existing space, and for residential. I am more enthused about this plan than any plan that I have seen in the past twenty years. The economic development community is increasingly looking at startups as an opportunity for growth, which we think is great. We have also seen an increase in the number of organizations considering business incubation as a strategy to promote entrepreneurship. This may be less great. Incubation can be a highly effective strategy, but one that requires a great deal of sustained commitment, financial support, and technical capacity. Too many incubators are created without these assets in place and are doomed to failure. We have prepared a two-part white paper examining business incubation. Part One: What We Know (Is Incubation a Winning Strategy – Part 1) examines data on the practice of incubation and shares the insight we have gleaned from interviews with dozens of incubator operators in the U.S. and Canada. It offers an objective assessment of the impact of incubation on startup success. Part Two: Factors in Success (Is Incubation a Winning Strategy – Part 2) shares some of our observations and thoughts on the practices that can help to determine whether an incubator may be successful. It concludes with a brief mention of some of the emerging collaborative models that may serve more clients and be better matched to the capacity of typical economic development organizations. Place Dynamics assisted Henry, rural Rock Island, and Mercer Counties in planning to develop and promote tourism within the HRRIM region. This was a multi-faceted project involving inventories, assessment, planning, and marketing. We began the project by documenting and evaluating existing tourism atttractions on five unique criteria, resulting in a ranking and helping to identify future development needs. At the same time, we examined visitor demographics and patterns not only within the HRRIM region, but also among competitors. Attractions were grouped to create itineraries designed to boost visitation and encourage visitors to extend the length of their stays. A development program addressed both general needs or opportunities, and those specific to individual attractions. A marketing plan discussed messaging, target markets, and opportunities for promotion. To help demonstrate the importance of tourism to the economy, we compiled an economic impact analysis of tourism on the economy of each of the three counties. The area’s tourism is responsible for generating over $55 million in economic activity, nearly 1,000 jobs, and nearly $1 million in annual tax revenue. The City of Santa Fe was looking for a more convenient way to monitor economic conditions and the impact of its economic development activities. Like many communities, they found it challenging and time consuming to identify available measures, collect the data, and keep it current. We worked with the City to create a comprehensive dashboard tracking general conditions, employment and earnings, business activity, spending and tourism, real estate, and personal well-being. In total, fifty-two measures are tracked. All of the data is compiled in an Excel spreadsheet. 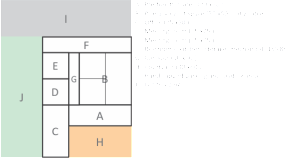 Each table includes a hyperlink to the source to make updating an easy task. The spreadsheet includes a reporting function. Users may select the year and quarter for which they want to generate a report. All calculations are performed and all tables sand charts are automatically generated with the appropriate monthly, quarterly, or annual data. In most cases, ten years of data is reported. 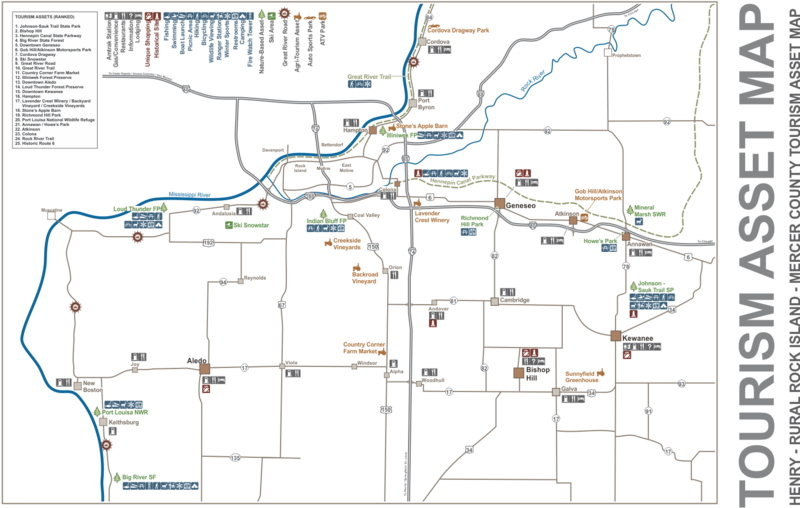 Local measures (city or MSA) are contrasted with state and national statistics. Janesville is a city of about 64,000 people located in south central Wisconsin. 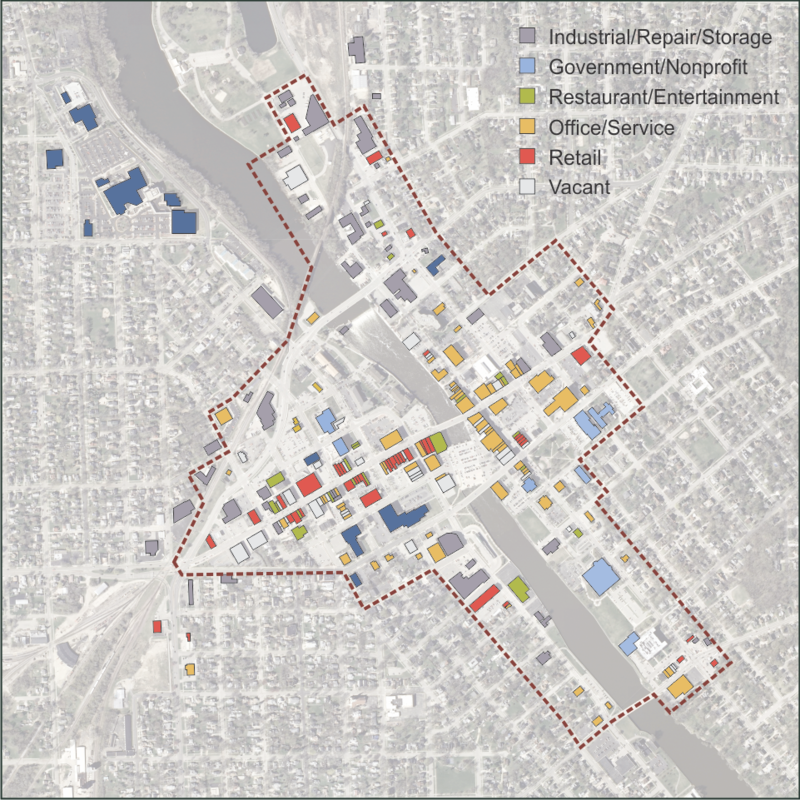 The City retained Place Dynamics and SAA Design Group to advise it on prospects for redeveloping several brownfield sites along the Rock River where it passes through downtown. Our role was to assess the market opportunity and advise the team on effective redevelopment strategies. The analysis demonstrated a strong and immediate demand for market rate and higher-end rentals along with owner occupied condominiums. These uses could be successfully developed along the river, where the river itself, along with existing paths and parks would be a significant amenity. Additional riverfront improvements recommended by SAA Design Group would further enhance the area’s potential. 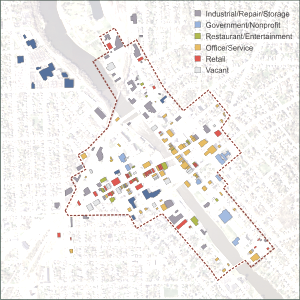 To help establish the market for redevelopment, the City will need to be an active player in helping to assemble, remediate, and market properties, as well as provide support for elements of proposed projects such as enclosed parking, which is a necessary amenity. The market for retail, office, and dining uses in the downtown is presently limited, in part due to a lack of any retail concentration in the district, and in part due to a very large inventory of available space elsewhere in the city. 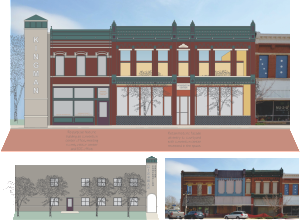 The most likely prospects in the short term will include eating and drinking places, home decor and hobby-related retail, and boutique office users who may be tied to the nearby courthouse. Place Dynamics has just released The Creative Spark, an assessment of the potential for a coworking space, or network of spaces in Southeastern Wisconsin. The study envisions using a coworking platform to promote entrepreneurship and help to grow small businesses in the region, with a focus on design and creative professional services.